I’m ashamed of myself, I don’t think I’ve given this a fair enough listen.. even though it’s gotten plenty of “plays”, it’s only really got one real listen. I just haven’t had the time to sit down and critically listen to this album a good 2-3 times, 2 or 3 times that it deserves. I’m listening again now as I write this review, albeit not critically! However, as you can probably ascertain from my listening notes this album was love at first listen for me, and as such it’s been on heavy rotation both in my car and it pops up in my playlist every now and then at work. 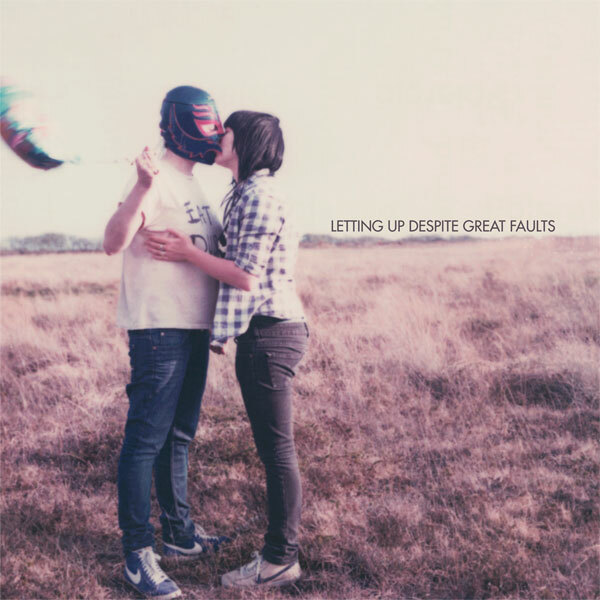 Letting Up Despite Great Faults is an album that has been on heavy rotation for the past 7 days, and will continue to be played over and over for me. I love the summer feel that is has, and a really “dreamy” sound that is just gorgeous..
LUDGF seem to be quite influenced by M83 and sounds a bit like The Postal Service too – but then on the other hand they have their own style in it’s entirety, it’s hard to put my finger on it exactly – let’s just call it “delicious”. All in all, this was is a stellar album and on each listen I discover even more things that I like about it.. I just wish it lasted longer, it feels just that bit too short! My sincere apologies if this review seems rushed, well because.. it was rushed! But hopefully you share the same thoughts as me on this album. One day i will get around to listening to it a couple more times critically and will shoot you off a proper review then!